Pursue different careers or hobbies? 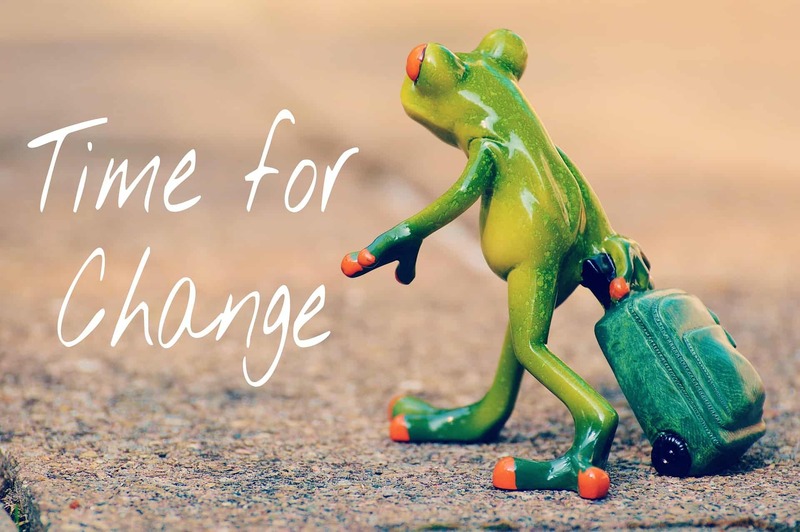 Try to get that promotion you deserve even if it requires travel and public speaking? Fly in a plane or go back to school to complete your degree? Drive on the highway so you can take road trips? Go to a party at a friends house? Or a work gathering? Go to a store instead of ordering everything online? Dealing with Anxiety: Anxiety can be healthy! Anxiety can be a healthy and normal feeling. It’s a motivator! Anxiety is our body’s way to remind us we need to pay attention. If we are anxious about something we may try harder to be prepared. We may study a few more hours until we are confident we can pass the test or use extra caution when doing something that we perceive has some risk. Anxiety can be a helpful tool for our success and survival. Dealing with Anxiety: Anxiety can be unhealthy! But sometimes anxiety stops being helpful. It almost forgets its place as a background motivator and thinks it runs the show. We forget that anxiety is a message we can choose to accept or ignore. Anxiety doesn’t make the decisions for us but is just one of our many advisors. We start to overvalue our anxiety and stop looking at all the other evidence when we assess a situation. We begin to only pay attention to our anxious feelings and start to avoid the things that make us anxious. What if we get anxious and pass out?! Our anxiety tells us we MUST avoid the highway so we can be safe. Anxiety causes us to imagine every catastrophic outcome possible for what will happen if we drive on the highway. But what about the years and years of evidence that negate that fear? We may have driven on the highway for 20 years and have never passed out. Yes, there was that one time we were really anxious and started to feel a little woozy but we had plenty of time to get off the highway and collect ourselves before continuing our drive. We have no evidence that we were actually ever close to passing out. Is the conclusion valid then? We feel less anxious by avoiding the highway but what have we given up? We have given up some of our freedom. Our world becomes a little smaller everytime we decide we can’t do something due to anxiety. Every time we avoid we make our anxiety more powerful. What happens when we avoid something that makes us anxious? We feel better, relieved…. but only temporarily. We give power to our anxiety every time we choose not to do whatever it is that makes us anxious. The anxiety gets internalized and we lose our self-confidence. We make associations between our anxiety and certain events and accept them as facts. Example: I felt anxious on the train once so, therefore, I will always feel anxious on the train. I can never take a train again. How to stop anxiety: So what happens if we stop avoiding? When we face something that makes us anxious our anxiety will build. It will keep building until it peaks but then it starts to come down on its own. When we avoid, we never experience anxiety resolving itself. We prematurely end the experience, feel a relief of the anxiety, and therefore draw the conclusion that avoidance is the treatment. However, with avoidance, we never get better. If we continue to do what is making us anxious we experience a success and shift the feeling of control back to ourselves. Every time we repeat this process we lessen the anxious associations we have made. We gain our confidence back and learn that we can do the things we previously feared. How to stop anxiety: What are you avoiding? Make a list of things that make you anxious. Rate your anxiety for each item on your list on a scale of 1 (no anxiety) to 10 (the worst anxiety). Start with something small and push yourself to do that first. Tackle your anxiety bit by bit by bit. Keep challenging yourself. Don’t let fear cloud your honesty. Even if you are absolutely unwilling to challenge yourself with something put it on your list anyways. It is important to take an accurate snapshot of all of the things you avoid. Every time you push yourself through you will gain confidence and be able to tackle bigger items. If fear of driving over a highway bridge is rated as 10/10 but driving over a town bridge is 7/10 then start practicing driving over the town bridge. It takes repeat performance to outdo your anxiety. You will not be anxiety free after driving over a bridge once. Go out and drive over a bridge repeatedly- do it for 30 minutes at a time if it takes that long for the anxiety begin to resolve. What happens to your anxiety as you keep crossing the bridge. Does it creep down a notch every time you go over the bridge? The first time you cross it may be a 10/10 but the 7th time is a 4/10? The next day, go back and do it again. This time did you start at a 6/10 and end at 3/10? Keep practicing this until the anxiety no longer is the ruler. You may never like driving over bridges but that is OK. You don’t have to like it but you need to stop changing your life to avoid it. Your anxiety may also never go to 0/10. But that’s also ok. We can be anxious and still do things. 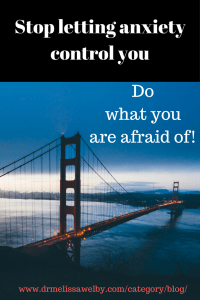 Stop anxiety from taking control. 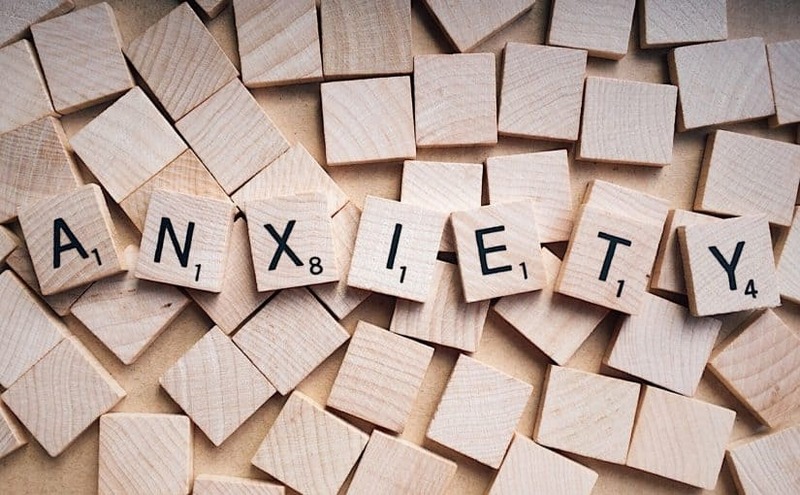 Treatment for Anxiety: Anxiety doesn’t need to rule your life! Anxiety is only one part of your life. It can be a helpful signal and enhance your life. But it is a problem when it begins to rule your decisions in life. Start dealing with your anxiety now! Read more here about different techniques you can use to overcome anxiety. Do you need anxiety medication? Unfortunately, even if the medication works, the anxious associations and avoidance patterns have already been ingrained. We can lower the powerful drive of your anxiety with medication but cannot break habits. Medication is only one part of treatment for anxiety. Worrying becomes a habit when you do it for years and avoidance will remain if it isn’t directly challenged. Treatment for Anxiety: You can recover fully from anxiety! As anxiety begins to decrease, continue to push yourself forward to do the things that make you anxious. This is the way to recover fully and stop anxiety from controlling you. Once you stop being ruled by anxiety, keep anxiety in check by practicing the skills you have learned. We all know that if we get in shape physically we have to do maintenance to stay in shape. It would be fantastic if we could just get physically fit once and maintain that shape forever without additional exercise. We can recognize the absurdity in that expectation. It is the same with conquering anxiety. Hard work can produce lasting benefits but it will also take ongoing maintenance to remain free of unhealthy anxiety. Get started now! What will be your first challenge? Make your list of avoided items and pick the one with the lowest anxiety rating. Do it over and over again. Experience the success of conquering the anxiety that used to be triggered by this item. Once the anxiety is manageable, move on to the next item on the list. Keep pushing yourself until you work through your whole list. You can do it! Are you looking for additional resources to help master your anxiety? Visit my bookstore for additional recommended mental health resources. My husband just walked into the room behind me while I was reading this, and I was wondering if he was going to say something to me about it. Haha…about facing my anxiety. Thank you for the encouragement. Love this advice. I don’t suffer from anxiety on any real level, but there are things that I would be very uncomfortable doing and even nervous about like public speaking. Taking on challenges that are uncomfortable and overcoming those fears in such good advice. We all have things that make us anxious- some of us more than others. Its good to step outside our comfort zone! Absolutely! Anxiety can be completely normal and the severity of it is on a spectrum. Sometimes it takes over and becomes debilitating especially when people start to limit what they can do because of it. It sounds like you don’t ever let it take over! Thank you! I’m glad it was helpful? Lol! The stigma is real! I have a good friend who suffers from anxiety and panic attacks. She is on medication, but is always looking for other resources that could help. Will definitely share this with her! Thanks! Yes. I have a fear of heights that would put me into a panic and actually ruined a vacation to the Grand Canyon. But because of that experience, I was determined to do something about it and I started hiking up steeper and higher mountains until I was able to hike up Mt. Washington in New Hampshire. I still have that fear, but now I’m able to work with it. Thats fantastic and exactly what I am referring to. 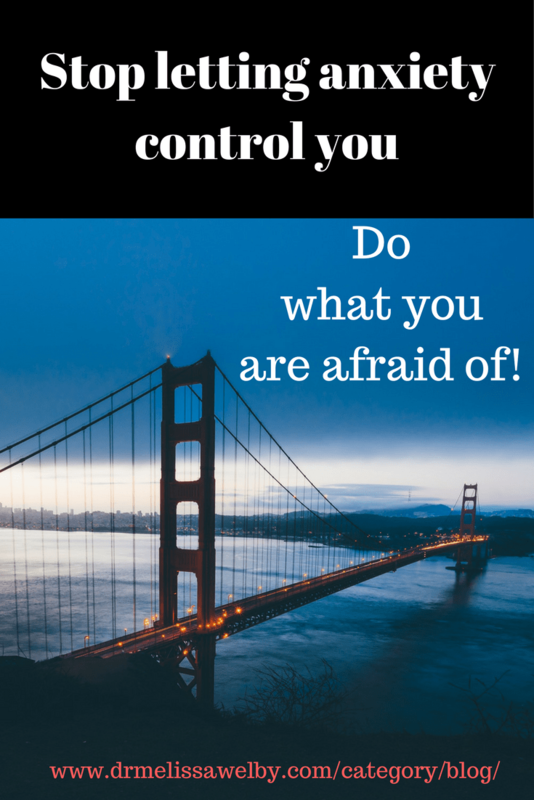 The fear may never completely go away but it doesn’t need to control you. Hopefully you can make it back to the Grand Canyon someday and enjoy the beauty this time! Wow! Dr. Welby you just explained to me the 10 years of Avoidant Personality Disorder I was diagnosed with and how to work my way out of it. Thank you so much for sharing this!! My 27yo son suffers with extreme anxiety and has been self-medicating for years. It has taken over his life. The information you provided gives me hope he may take that first step to taking back his life. Any additional information specific to males is appreciated. It can be baby steps but he just needs to get started. Self-medicating ends up becoming its own independent issue which often has to be addressed prior to even treating the anxiety. Its a hard place to be but it can be done!! I have had two definite panic attacks. For my first one, it was walk through that door and face customers & keep your job or run out the back and lose it and face great defeat. I talked to myself in the mirror in the small bathroom and as I approached the (proper) door, I took a deep breath and walked through. I was instantly my normal (in that setting anyway) self. The other was when I was trapped between two vehicles doing dangerous things on the highway and a double line to the middle of the highway. I had a baby along in the back. I started hyperventilating, but knew it was not helpful. I talked myself through that too and came out okay. That one was truly a bad situation (not fully imagined), and I knew that I needed a clear head. I have a fear of talking one on one with people, and I have a few friends now by approaching them first. I force myself to talk to new people and compliment them. I make myself sing in front of people as well (I have been told I sing well). I have been on TV once and on the radio!!! I have dragged myself to the edge of cliffs over 10′ from the edge on my belly (fear of heights, dizzy) just to look over the edge, and then wiggle backward away from it. I have overcome claustrophobia in caves (I love them now!). What a great article. It explains why my anxiety has been somewhat manageable. I guess I am doing things the right way. This is great! Yes, you are doing exactly what this article is about. So glad to hear it has been so successful for you! I’ve been diagnosed with Generalized Anxiety Disorder. I’m taking medicine which is helping me at least in containing my anxiety. However, I am having a terrible problem coping with intrusive thoughts. I can manage physical symptoms fairly well. Most of the I have thoughts vary from “I will never get better, my treatment is failing” to days when my mind says “I wont able to drive on the freeway etc. I still go through and do the normal things but it just feels like I have an unwelcomed guest at my house. What is the best approach to deal with this? I have accepted that I have anxiety but this seems to be a hurdle I am finding hard to climb. I want to learn the tools to manage these thoughts. I would really appreciate your advise. This is exactly where cognitive behavioral therapy is essential to target these thoughts. These are faulty thoughts that are driven by anxiety and they need to be managed in order to not be controlled by the anxiety. In CBT each of these thoughts gets broken down and evidence that supports or refutes the thought is written out. When the intrusive thought says “I will never get better, my treatment is failing” ask yourself what is the evidence? For example, evidence to support the thought: I feel like crap today. Evidence against the thought: In the last week I have had 4 mostly good days where I worried 30% of the day. Before treatment, every day was 50% full of anxiety. It is helpful to write out the evidence because it is easier to see. It takes a lot of practice. Worry thoughts are habits that need to be broken. BTW there are great books on CBT of anxiety that can be helpful and hopefully you are learning some of these tools in therapy too!